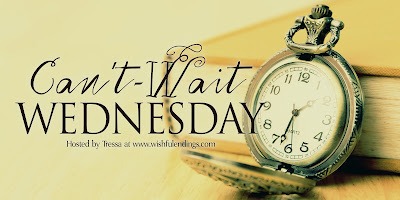 Can't-Wait Wednesday is a weekly meme hosted by Tessa at Wishful Endings which spotlights and discusses forthcoming books that bloggers are looking forward to reading. Generally it's about books that haven't been released yet. This meme is based on Waiting on Wednesday, formerly hosted by Jill at Breaking the Spine. There are so many exciting new books on the horizon, so without further ado, this week's Can't Wait For book is . . .
From Goodreads: Opening with the shooting of Lady Virginia 'Ginie' Courtauld in her tranquil garden in 1950s Rhodesia, The Dragon Lady tells Ginie's extraordinary story, so called for the exotic tattoo snaking up her leg. From the glamorous Italian Riviera before the Great War to the Art Deco glory of Eltham Palace in the thirties, and from the secluded Scottish Highlands to segregated Rhodesia in the fifties, the narrative spans enormous cultural and social change. Lady Virginia Courtauld was a boundary-breaking, colourful and unconventional person who rejected the submissive role women were expected to play. Ostracised by society for being a foreign divorcée at the time of Edward VIII and Mrs Simpson, Ginie and her second husband, Stephen Courtauld, leave the confines of post-war Britain to forge a new life in Rhodesia, only to find that being progressive liberals during segregation proves mortally dangerous. Many people had reason to dislike Ginie, but who had reason enough to pull the trigger? 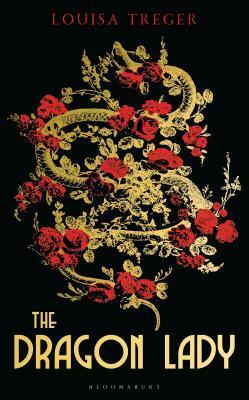 Deeply evocative of time and place, The Dragon Lady subtly blends fact and fiction to paint the portrait of an extraordinary woman in an era of great social and cultural change. My thoughts: I am drawn to the historical, cultural, and geographical aspects of this novel. It sounds like the perfect summer read. In the meantime, I plan to read the author's previous novel, The Lodger, which according to Goodreads is "The first biographical novel about Dorothy Richardson, peer of Virginia Woolf, lover of H.G. Wells, and central figure in the emergence of modernist fiction." This Can't Wait Wednesday post was originally composed and/or compiled and published by Catherine for the blog, bookclublibrarian.com. It cannot be republished without attribution. Sharing this original post on Twitter and/or other blogs with appropriate recognition is appreciated. Sounds I interesting and I love the cover. Thanks for sharing! I love the historical component of this one. Hope you enjoy it!